With its huge 24 megapixel sensor, the entry-level D3200 instantly becomes the highest-resolution APS-C DX format Nikon DSLR, and it offers more pixels than any competing manufacturer too. Compared to the 18-month-old D3100, Nikon has managed to simultaneously increase the pixel count by a massive 10 megapixels and yet still maintain similar quality at higher sensitivity settings, which is no mean feat. An improved movie mode with greater control over exposure and sound, an expanded Guide mode and simpler controls for beginners, more connectivity options and a better LCD screen all add up to the best entry-level Nikon DSLR that we've ever reviewed. There are still a few notable bug-bears. Live View mode desperately needs a live histogram and a higher-resolution live feed, while the much-improved movie mode would still benefit from a truly working full-time AF feature. We also missed the D3100's ingenious drive mode lever, while the lack of auto-exposure bracketing options and depth-of-field preview are still a little baffling, despite the D3200's entry-level status. 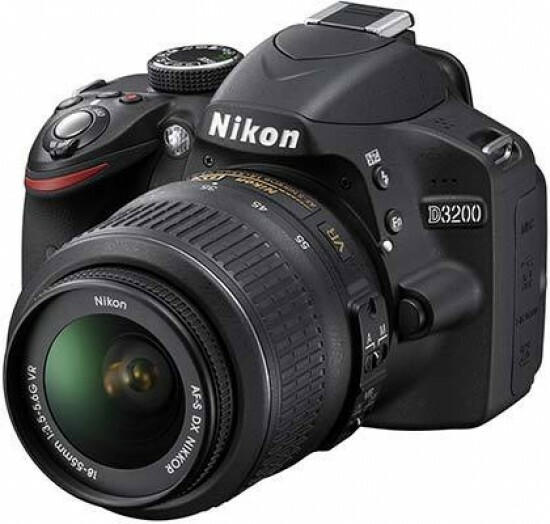 The Nikon D3200's bigger sensor and other improvements have also somewhat inevitably pushed the price up - £559.99 / €667.00 body only is a lot of money for an entry-level product, so take a look at the still available and much cheaper D3100 model if price is a real issue. Otherwise we can highly recommend the new Nikon D3200 as a great camera for beginners who want a little more oomph from their DLSR, and who are prepared to spend a little extra to get it.